What the housing would look like. Images: Macaulay Miller Architecture. OVER 30 flats and houses are set to be built on the site of Brevik House in Lerwick after planners gave the development the thumbs up. Breiwick Bay Properties Ltd sought permission to demolish Brevik House on South Road, which was built in 1886, and build 24 social/affordable flats which would be sold or put up for rent, and up to nine private properties which are proposed to be for sale. In recent years Brevik House, which was previously used by the NHS and overlooks the bay, has been utilised by Shetland Solidarity with Refugees for collecting aid donations. 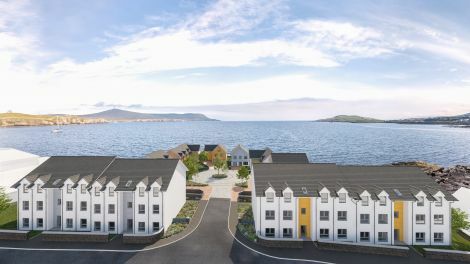 Initially Breiwick Bay Properties Ltd had plans to build a hotel on the site, but they were put on the backburner because of a downturn in the oil industry and the subsequent drop in demand for temporary accommodation in Shetland. 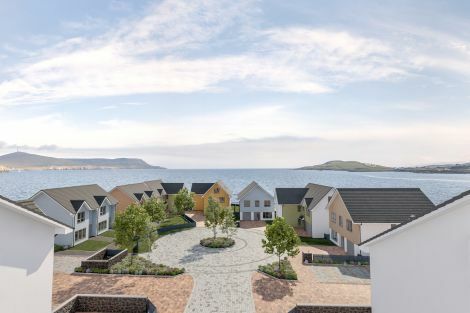 It turned to housing in view of a large demand for accommodation in Lerwick, and the proposal was given the green light by Shetland Islands Council planners this week. The company, which has ownership of the site, is part of Aberdeen based property developers Ardent Group and it features former Shetland man Martin Watt as a director. 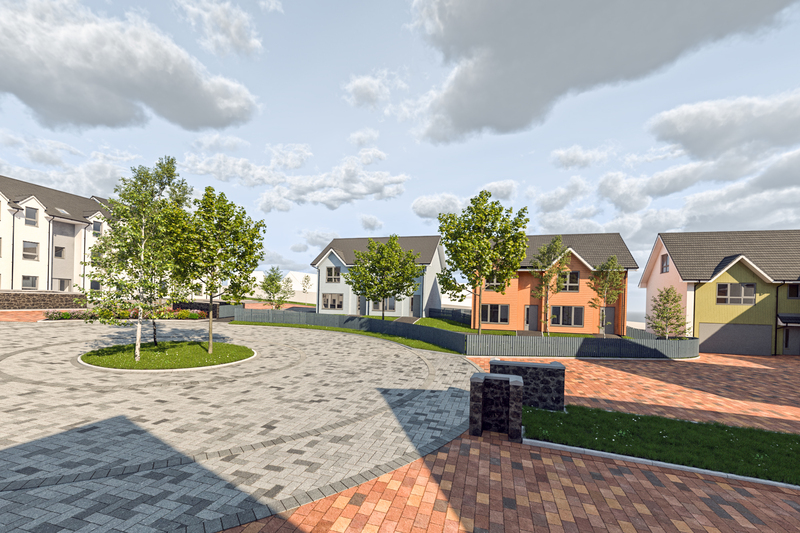 Discussions had previously taken place between Breiwick Bay Properties Ltd and Hjaltland Housing Association with regards to affordable housing. The plans feature 12 one bedroom flats, 12 two bedroom flats, four three bedroom semis, two 4/5 bedroom detached houses and three five bedroom detached houses. The blocks of flats would face South Road, while the houses would enjoy views over the sea. It would also incorporate parking, a roundabout style turning area and green areas. Macaulay Miller Architects (MMA), which has bases in both Lerwick and Glasgow, said it was “extremely pleased to get our first large scale project through planning and equally proud of the modern Shetland design aesthetic”. “MMA are a new company so something like this gives us an opportunity to show our wares both locally and to mainland based clients,” a spokesperson said.